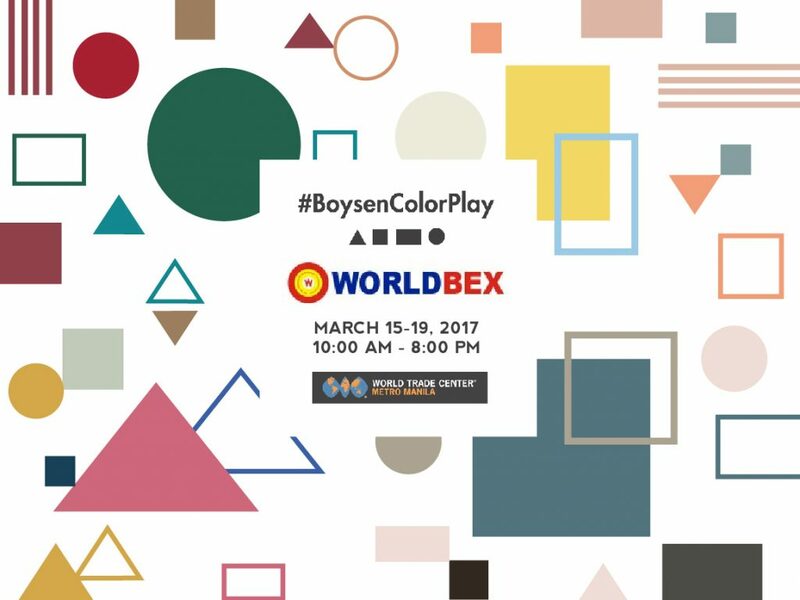 The interactive and experiential booth Boysen Color Play will be at Worldbex this week from March 15 to 19. Click the Instagram photos below to see what happened during the successful premiere of Boysen Color Play at Interior and Design Manila last week. Get to know the four friends you’ll meet at the booth at The Amazing Colorific Journey Home. Watch this to see how easy it is to navigate your way around the booth. Do come and have some fun with us this coming Wednesday to Sunday. The same invitation is extended to those who want to experience the booth again.